Leading online game developer and publisher, Joymax, today announced its exciting new event, the “Uncanny Part 1,” for its long-running worldwide MMORPG, Silkroad Online. Players are in for a treat when they discover a hot new item will be available alongside a groundbreaking sale! 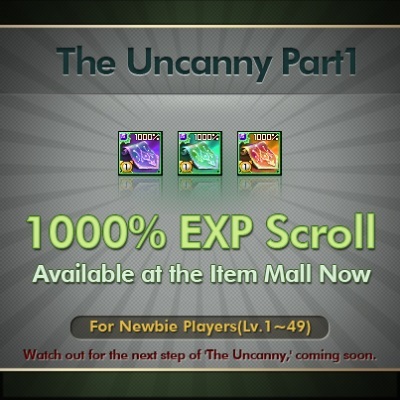 A new item release for players level 1-49 will feature a mind-blowing 1,000% EXP point increase scroll now available in the Item Mall. This exciting 1,000% increase has only appeared once before, Joymax Day, and it left players clamoring for more. Now it’s back, and players can get it whenever they want! “Uncanny Part 1” will also feature a groundbreaking sale with 80% off two cool items. A 20% damage increase/absorption scroll, a 100% resurrection scroll and a +3 Option level enhancement scroll will all be on sale for an eye-popping 80% off! Players should act fast before this exciting deal disappears. Warhammer 40,000: Eternal Crusade is happy to spread joy with its latest Holiday Sales offering. The Aetherlight: Chronicles of the Resistance, the preteen adventure game, has launched its second installment.